Dhaka: Prime Minister Sheikh Hasina heads to the polls in Bangladesh this week on course for a historic victory, while her ailing opponent faces an uncertain future in a colonial-era Dhaka jail. Bangladesh´s "Battling Begums" have been fighting each other for three decades, but the 71-year-old Hasina is set to extend her record as the country´s longest serving leader after dispatching Khaleda Zia, her chief rival. The two women have been political royalty -- begums -- since the 1980s. Zia, 73, is the widow of a military dictator and Hasina´s father was the country´s founding leader. They joined forces to dethrone military dictator Hussain Muhammed Ershad in 1990 and restore democracy. But they became arch-foes after Zia was elected prime minister in 1991, and the duo have alternated in power ever since in the South Asian nation. 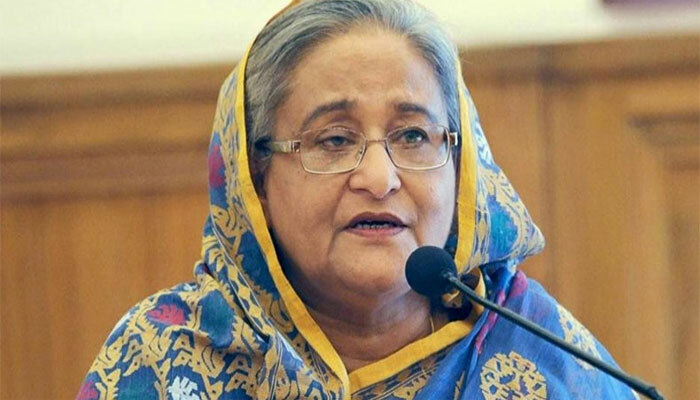 Hasina is now seeking a fourth term and opinion polls indicate she will have little problem at the December 30 poll despite criticism of her government´s slide towards authoritarian rule. Zia meanwhile is serving a 17-year jail term on graft charges that her Bangladesh Nationalist Party (BNP) insists were "politically motivated". The convictions mean Zia cannot contest the poll, which the BNP says will be neither free nor fair. It claims thousands of activists have been jailed in recent months. Zia suffers from arthritis and diabetes, has had knee replacement surgery and can barely move one of her hands. Western diplomats have written off her chances of a comeback. "She is politically finished," said one diplomat based in Dhaka, adding Zia´s only chance for escape would be if she is offered medical leave abroad. The fallout has spread to the Zia dynasty. Her youngest son died in exile in Bangkok in 2015. Her eldest child, Tarique Rahman, who masterminded his mother´s return to power in 2001, went into exile in London in 2008. In October, he was sentenced to life in prison for his alleged role in a 2004 grenade attack on a Hasina rally in which at least 20 people were killed. Analysts say that even though she is out of the limelight, Zia still casts a huge shadow over the election. "It is fair to say that the conventional portrayal of Bangladeshi politics as the ´Battle of the Begums´ has taken a back seat, for the moment," said Illinois State University political science professor Ali Riaz. "But it is too early to write the political obituary of Khaleda Zia. Although she is not on the ballot, her name and influence is not diminished." Zia´s woes started with her decision to boycott the 2014 election, which the BNP said was rigged after Hasina scrapped a caretaker government system used for previous polls. Dozens were killed in subsequent violence. A nationwide road and railway blockade the following year, aiming to force Hasina into an early election, left up to 150 more dead. Many people were angered by the campaign and analysts said it allowed Hasina to launch a crackdown on the BNP. "The decision to boycott the election and then enforcing the blockades were suicidal," said Ataur Rahman, a political science professor in Dhaka. "They weakened the party and handed Hasina a big opportunity to target her opponents and create what has since emerged as a one-party dominant political system." Few believe that the Zia family will lose its grip on the BNP, especially in a region where political dynasties are a way of life. Zia´s son, the acting party head, interviewed aspiring candidates for the party by video conference from London. "These all are indications that the Zia dynasty is still very strong and maintains strong authority over the party," said Oslo University lecturer Mubashar Hasan.